LET US HELP YOU PROTECT YOUR INVESTMENT! Are you busy?? Work, school, kids, or just daily life happening! Your car is usually the last thing you are able to get to or make time for. Don't worry about any of that! We can handle it for you give us a call at Little Rock Auto Detail. We can make it even more convenient for you by coming to you. That's right you heard that correctly WE CAN COME TO YOU! 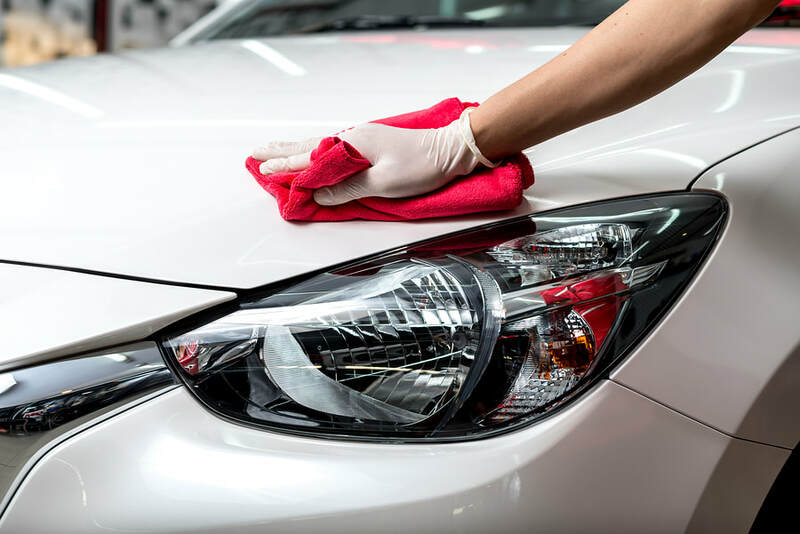 Whether you are at home, work, or school we can come to your location and detail your vehicle for you while you get your business taken care of. We will treat your car the same whether it is old school or new school the effort we put out stays the same. We have many different packages for you to choose from that will easily fit into your budget. Most people understand it is important to do mobile car detailing on your automobile but what alot of people don't realize is cleaning your ride is just as important to your investment. Taking your vehicle to the car wash gets rid of the surface dirt and grime but it doesn't deep clean like your car needs every so often. Having your vehicles exterior and interior deep cleaned keeps its appearance lasting for years and years. Deep cleaning, scratch removal, waxing and polishing are necessary to keep your automobile sparkling. Your ride will easily stand out from the rest by giving it the luster and sparkle only we can at Little Rock Automotive Detail. Getting your ride detailed on a regular basis really maximizes the resale value of your investment. When we detail your car we do a process called reconditioning. Reconditioning takes the concept of cleaning your auto even further by stopping just shy of a complete auto restoration on the outside. Tasks such as headlight restoration, rock paint chip repair, plastic trim restoration, cigarette burn hole repair, vinyl and leather repair, carpet dying and foul odor-removal. Rejuvenation at its finest. Applying a wax to the exterior of your chariot protects the clear coat from failing and your paint from fading permanently. ​Polish, chrome treatment, vinyl protection and acid rain free are just some of the services we offer. Car detailing involves cleaning, and either restoring or exceeding the original condition of the surface of the car's finish. It is more than simply car washing with soap and water, but actually focusing on and cleaning the tiny details of your car which takes it from clean to sparkling! Car detailing Little Rock, AR is your one stop shop for all things detailed. We can detail the interior, exterior, engine bay, rims and tires. We are a mobile detailing service so we come to you!! We give your vehicle a thorough cleaning and restore your vehicle to its original luster. We use detergents and Acid-free degreasers to break down dirt and soil. Daily driving just naturally wear and tears on your exterior paint. We have the best products available to clean your car and add a layer of protection to the outside of your car to protect it from the daily weather and daily driving. Reconditioning the outside of your vehicle is reinvesting into your investment. Cars and trucks are not cheap these days and it pays to keep them taken care of, especially if you want to get out what you put into your truck when you purchased it. Taking care of the outside helps to get rid of paint contamination, scratches, dirt, debris, and damage from everyday wear and tear from driving down the road to being exposed to the different weather systems we face and even the suns damage. ​We do paint protection especially for black paint and others that scratch really easily. We can buff out most scratches and get your paint looking back to what it looked like when you pulled it off the showroom floor. Exterior car detailing is a must if you want to keep your truck looking like it did when you first purchased it. We clean the interior of your auto by deep cleaning all the carpets and seats to remove all embedded stains and dirt from everyday use. Regular cleaning of your carpets keep stains from setting in and becoming permanent. ​Our packages include vacuuming, carpet shampooing, headliners and seatbelts, cupholders and all cracks and crevices in between. All material will receive treatment. We do door jams and more. Pet hair, stains, makeup (ladies you know what I'm talking about) we removed it all! Our vacuuming skills are on point let us know if you want a special design when we vacuum. This is the fun part! Interior detailing is just as important as having the outside cleaned. We specialize in cleaning your engine bay, rims and tires. Alot of people don't realize that your engine bay also needs some love every once in a while. I know it may seem a little stressful to clean this part of your vehicle because other than your ride this is the next most expensive part of your vehicle. It is actually alot easier than it appears all engines are ok to get wet and cleaned . On all newer vehicles everything is covered appropriately so there are no wires exposed that can be damaged when being cleaned. We do go over the engine before we immaculate it to make sure we will not cause any damage to the inside. We are trained professionals and take pride in doing a great job and not damagaing anything in the process. We know that older cars and especially antiques are numbers matching vehicles so we will take our time and get in every nook and cranny and not power wash anything that can be damaged. We clean the underneath of the hood that pops up. Let's face if you haven' t looked underneath your hood in a while you would probably be surprised at how nasty this area can be. We use degreaser on this area. We also clean you rims and tires usually as part of the exterior package but we use specialty products for this area as well. We know these rims can be very expensive and we take great care to clean them properly to get all the brake dust off these parts so it doesn't build up over time and cause the coating to be permanently damaged. Bringing value to out customers is what we strive for in our business. That is why we are a mobile detailing business. Your life is busy and we know your vehicle sometimes can get the brunt of your busy lifestyle, by driving it everyday and not having the time to properly clean it so it holds its value. Being mobile means we have all the tools to come to you wherever you are and detail your car, truck, suv and more. We bring with us our own water supply, soap products, wax products, towels ect.... You don't have to worry about anything except what you are currently busy doing such as working, shopping, sleeping, or just having fun. When you are done just know that you are coming out to the best looking ride in the parking lot!!! We bring excellence everytime no matter what your budget is we always give it 100%!